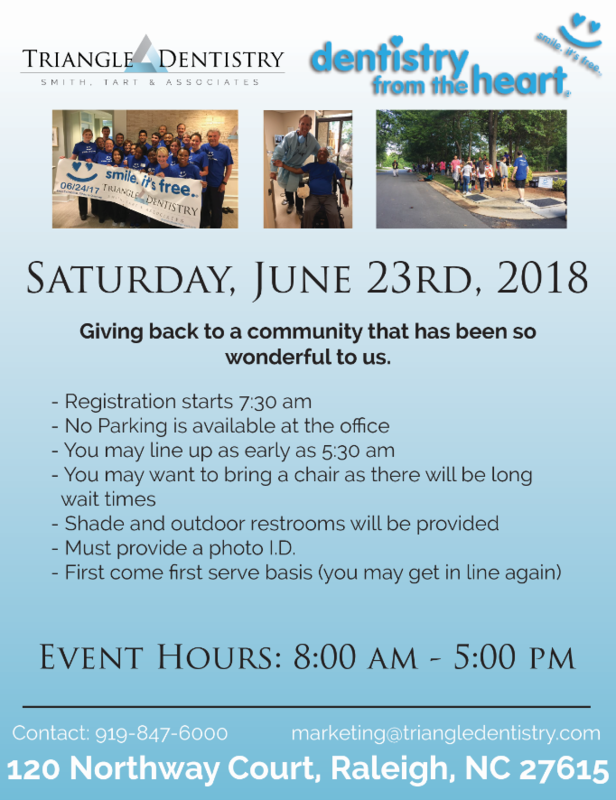 The April 29th registrations originally scheduled for Western Wake Campus (Millpond Village ) and White Plains United Methodist Church (WPUM) have been cancelled. Due to the closures caused by Hurricane Michael, ESL Long Distance (Burlington) registration was rescheduled. It will now be held on October 29th at 6:00 pm at the BEC in Room 406. Wake Tech sites will delay opening until 10:00 AM on Friday, October 12, 2018. The Knightdale Recreation Center (KRCC) has cancelled ESL class on Friday. Be ready and don’t worry if you get an alert on your cell phone tomorrow, October 3rd, between 2:18pm and 2:20pm. It’s a test. Phones across the country will all receive an emergency alert test between approximately 2:18 and 2:20 pm EST. This is the first-ever test of the country’s emergency communications system with a presidential alert. It will be the same tone and vibration as tornado and AMBER Alert warnings. Users cannot opt out . The system was set up in 2006 and is intended to notify the public of hazardous situations. While the Emergency Alert System has been tested before, the Wednesday test will be the first time the nationwide Wireless Emergency Alert system will be tested. This system is used to notify the public about dangerous weather, missing children, and other regionally critical situations through alerts on cellular phones. Cell phones turned on and within range of an active cell tower are expected to receive the message. Some older phones may not get the message. Offering one free service: cleaning, filling, OR extraction (no wisdom tooth extractions). Be sure to check out the new February Star Calendar in our Star Center page under the Student Resources Section. The page will be updated as new calendars become available. Please note that there will be presentations at noon and 5PM on Monday, Tuesday, and Wednesday. 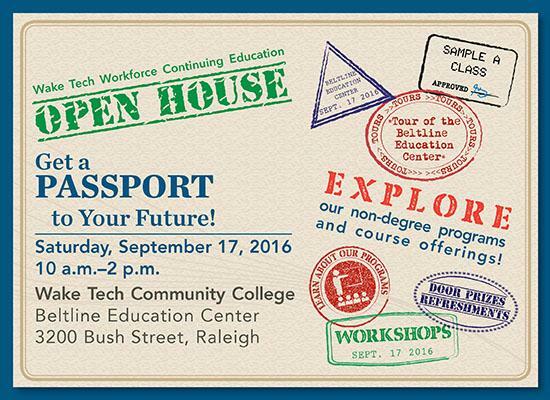 Topics will be Certificate programs, college process, and employment process, respectively. Our free Citizenship Preparation class will be offered this summer, 2017! Tax season is here and you are probably receiving many tax forms in your mail. You need to file your taxes by April 15th. Have questions? Feeling stressed out and overwhelmed? Look at the flyer below to find out how to get some FREE help! To qualify for this service, your salary must be $60,000 per year, or less. You must bring the required documents on the list below. 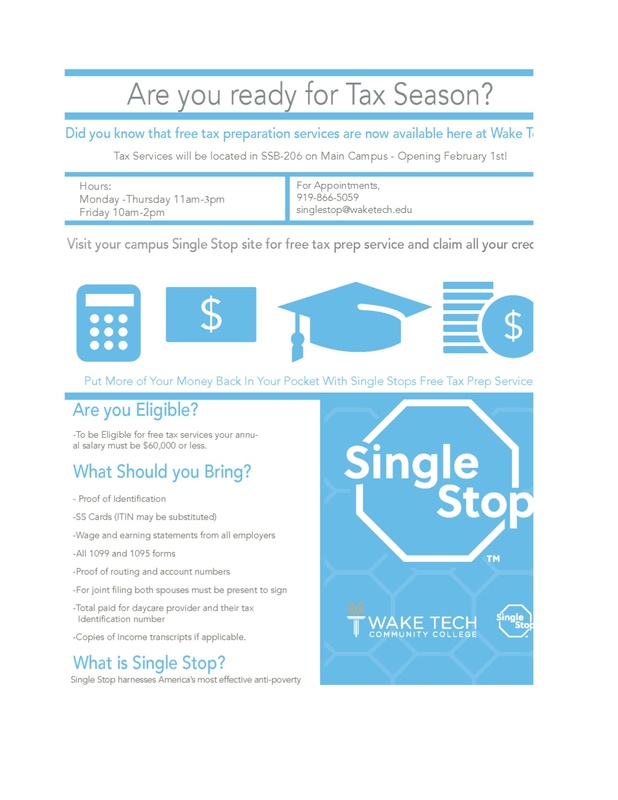 Students who can’t go to Wake Tech’s main campus can get help at the Wake County Human Services building on 220 Swinburne St., Raleigh, NC 27610 – near Wake Med hospital.